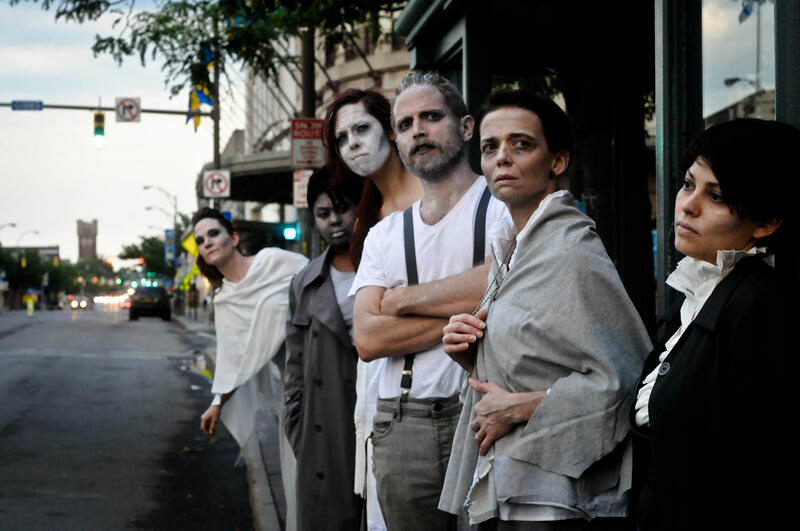 Nearly 300 actors will be performing the largest-known production of the Spoon River Anthology tonight and Saturday as part of the Rochester Fringe Festival. Spoon River Rochester is based on the poems of Edgar Lee Masters, published in 1915. They tell the stories of the deceased residents of a fictional town. The project's creator, David Henderson, Founder and Artistic Director of METHOD MACHINE, said this will be a unique experience for the audience. "The performers will be stationery. They'll be set up like headstones,” Henderson said. “And the audience moves this time. They walk through like you're on a graveyard walk and you're hearing stories about the people who passed on, but this time they're the ones who are telling their story." One of the 244 actors is Mayor Lovely Warren. Henderson said a role was chosen especially for her. "We picked Ann Rutledge, who was Abe Lincoln's first girlfriend. We wanted to pick something that had weight to it and that was really poetic. It suits her really well. We practiced the other day, and she's going to be fantastic." There are two free performances of Spoon River Rochester, tonight and Saturday at 6:30. It takes place on Gibbs Street between East Avenue and Main Street.